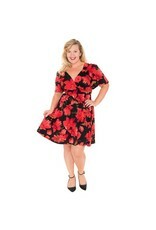 We love the retro feel of this new floral print as well as the shape! 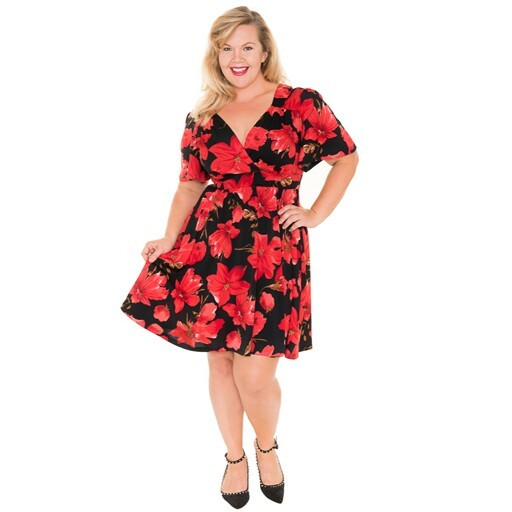 The Lizzy Dress in Redlily is an effortless way to make a serious style statement. 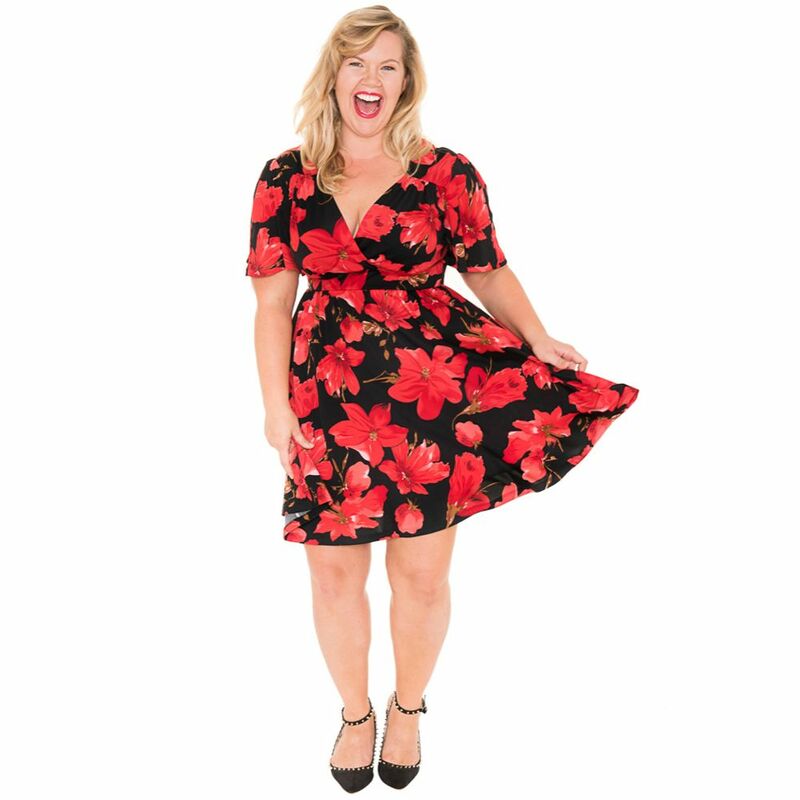 The timeless appeal of this poppy floral print is right on trend this season and is sure to make the Lizzy in Redlily a classic that will quickly become a staple of your wardrobe. Care Instructions: Machine wash gentle Cold, Hang to dry or lay flat, or Dry Clean.